Jerome Reichman, Paul F. Uhlir, and Tom Dedeurwaerdere, Governing Digitally Integrated Genetic Resources, Data, and Literature: Global Intellectual Property Strategies for a Redesigned Microbial Research Commons (2016). Legal battlegrounds have moved into the genetic realm. From genetically modified seeds to the altered gene sequence for strawberries, to the patent disputes over isolated DNA sequences and data mining of genetic information, and the associated data generated from germplasm. The Supreme Court rejected a farmer’s claim against Monsanto to the right of reusing genetically modified seeds in 2013. Former employees are in a dispute with UC-Davis over the altered gene sequence for strawberries. Gene editing technologies are subject to patents of contested ownership, but soon may be more readily available. Monsanto loses some of its patent rights related to the BRCA1 gene and actively now seeks patents in data mining of genetic information. Data, genes, and law are in a predictable but perplexing confluence. Professor Jerome Reichman is at the forefront of scholarship on this confluence with the publication of “Governing Digitally Integrated Genetic Resources, Data, and Literature: Global Intellectual Property Strategies for a Redesigned Microbial Research Commons,” coauthored with Dr. Paul F. Uhlir of the National Academy of Sciences and Professor Tom Dedeurwaerdere. A humble jot cannot do justice to a 650-page tome, but as far as Things We Like Lots, this book is up there. It should be on the shelf of scholars and policymakers dedicated to genetic research and its legal regulation. Continue reading "A Blueprint for the Global Microbial Commons"
James E. Pfander & Daniel Birk, Adverse Interests and Article III: A Reply, 111 Nw. U. L. Rev. 1067 (2017). James E. Pfander & Daniel D. Birk, Article III Judicial Power, the Adverse-Party Requirement, and Non-Contentious Jurisdiction, 124 Yale L.J. 1346 (2015). Article III extends “the judicial Power of the United States” to certain “cases” (defined largely by subject matter) and certain “controversies” (defined largely by parties). But why the different words? Does the distinctive terminology track a difference in legal meaning? Questions along this line seem to come up every time I teach about Article III. Finally, I have a concise but fairly comprehensive answer to offer if asked. My answer now—and my (justified?) confidence in its correctness—comes from James Pfander and Daniel Birk. Their compact piece, Adverse Interests and Article III: A Reply, restates and defends against a powerful scholarly critic—Ann Woolhandler—an account they first advanced two years ago in Article III Judicial Power, the Adverse-Party Requirement, and Non-Contentious Jurisdiction. Continue reading "Adversity and Non-Contentiousness"
Corporations and American Democracy (Naomi R. Lamoreaux & William J. Novak eds., 2017). Americans’ interest in the impact of corporations on society, always high, reached fever pitch with the Supreme Court decisions in Hobby Lobby and Citizens United, as reflected in the ongoing political and media dialogue about reforms necessary to protect or restore democracy. Believing that the historical assertions informing this debate are largely “claims about the history of corporations in the United States that are at best outdated, if not entirely lacking in historical foundation”, the Tobin Project supported new research on this topic, the results of which are now available in Naomi R. Lamoreaux & William J. Novak, Corporations and American Democracy (2017) (hereinafter “Lamoreaux & Novak”). Lamoreaux & Novak contains the work of 16 scholars, organized as an introductory essay and ten chapters, which together provide a coherent and enlightening look at the nature of the corporation and corporate law from the founding of America to the present. At the same time, Lamoreaux & Novak also provides a provocative look at the nature of democracy, viewed in the context of the nation’s ongoing struggle over the proper relationship between corporations and government. Whether your interest lies in better understanding the corporation at the turn of the 19th century, in the early stages of the industrial revolution, during the pre-first-World-War reform era, in the early days of the New Deal, or as the corporation later evolved, Lamoreaux & Novak has something for you. For me, the highlight was Chapters 2 and 3, which provide a much needed clarification of the standard account of our understanding of the corporation as it evolved in the nineteenth century. Continue reading "Historicizing Corporations and Democracy"
Michael Boucai, Is Assisted Procreation an LGBT Right?, 2016 Wis. L. Rev. 1065 (2016). It is this back edge of ART’s sword that Michael Boucai focuses on in his thoughtful article, Is Assisted Procreation an LGBT Right?. Boucai sheds light on the fact that in recent years, LGBT rights advocates have consistently argued that access to ART is an LGBT rights issue. The basic premise of argument is that LGBT individuals face special forms of infertility, whether hormonal/anatomical, or due to the nature of their intimate relationships. Barriers to ART, such as bans on remunerative surrogacy, therefore disproportionately burden the LGBT population, preventing full LGBT equality in parenthood. This embrace of ART troubles Boucai for several related reasons. First, advocates have largely ignored similar structural barriers to adoption facing members of the LGBT community. Second, arguments deployed in ART-focused advocacy tend to reify biological parenthood’s inordinate prestige by presuming that biological procreation is coextensive with family formation. The narrow focus on a fundamental right to procreate “carr[ies] a constant risk of glorifying biological reproduction at the expense of adoption,” while “invite[ing] judges to ensconce a preference for biological relationships in our family law and constitutional jurisprudence.” (Pp. 1123-1124). Continue reading "Reproducing Queer Kinship"
Heidi Kitrosser, The Special Value of Public Employee Speech, 2015 Sup. Ct. Rev. 301 (2016). Suppose the United States elected a president with authoritarian tendencies. Imagine that the president regularly attacked and undermined institutions and individuals that sought to hold his administration accountable for its actions. Assume, for purposes of the hypothetical, that members of the President’s party controlled both the House and the Senate and saw little partisan self-interest in checking the executive branch. Just pretend. the simple acts of employees doing their jobs conscientiously and in accordance with the norms of their professions. When employees engage in such behavior – for instance, when government auditors honestly and competently investigate and report in a manner consistent with professional auditing standards – they help to maintain consistency between the functions the government purports to perform and those that it actually performs. In this sense, public employees are potential barriers against government deception. They can disrupt government efforts to have it both ways by purporting publicly to provide a service while distorting the nature of that service. When they do this through their speech acts—for example, by reporting the results of budgetary analyses or scientific studies—they engage in speech of substantial First Amendment value. (Pp. 302-303). In Garcetti v. Ceballos, however, the Supreme Court interpreted the First Amendment to offer no protection for public employees’ truthful speech in a broad range of circumstances—including their truthful reports of governmental lies and other misconduct. Rejecting a First Amendment challenge by a prosecutor disciplined for writing an internal memo that criticized a police affidavit as including serious misrepresentations, the Court held by a 5-4 vote that “when public employees make statements pursuant to their official duties, the employees are not speaking as citizens for First Amendment purposes, and the Constitution does not insulate their communications from employer discipline.” In concluding that a government employer should remain free to assert “control over what the employer itself has commissioned or created,” the majority thus created a bright-line rule that treats public employees’ speech delivered pursuant to their official duties as speech that the government may restrain and punish without running afoul of the First Amendment. Continue reading "Checking the Government’s Deception Through Public Employee Speech"
Patience A. Crowder, Impact Transaction: Lawyering for the Public Good through Collective Impact Agreements, 49 Ind. L. Rev. 621 (2016). Although contracts may not immediately come to mind when one considers measures by which to effectuate social change, Professor Patience Crowder effectively advocates for their usage in her recent article Impact Transaction: Lawyering for the Public Good through Collective Impact Agreements. Bringing to bear her considerable experience and knowledge of community economic development and nonprofit organizations, Professor Crowder argues that the utilization of written contracts, particularly collective impact agreements, can be a more effective strategy for achieving comprehensive social change than traditional efforts such as impact litigation, memorandums of understanding, and community benefits agreements. In so doing, she introduces “impact transaction” as a new theory for employing transactional advocacy to achieve large-scale social change. Professor Crowder’s article begins with a detailed critique of traditional strategies used in social change lawyering and public interest arenas. With respect to impact litigation through which advocates seek to reform agencies and institutions by judicial adjudication, Professor Crowder identifies “narrowly defined scopes of applicability,” high monetary and nonmonetary costs, and the adversarial nature of litigation as disadvantages of this approach for achieving widespread social change. (P. 625.) In light of these and other shortcomings, she advocates for a transactional approach grounded in a collaborative collective agreement process “to address a particular social ill.” Such impact transaction, Professor Crowder argues, “can promote the public good in ways that transcend impact litigation.” (P. 629.) Continue reading "Contracting for the Public Good"
Wendy Wagner, William West, Thomas McGarity & Lisa Peters, Dynamic Rulemaking, 92 N.Y.U. L. Rev. 183 (2017), available at SSRN. Retrospective review remains a hot topic in administrative law. The Administrative Conference of the United States and the American Bar Association have both recently advanced recommendations to improve agency review of existing regulations. As I have explored elsewhere, the Portman-Heitkamp Regulatory Accountability Act would amend the Administrative Procedure Act to encourage retrospective review. The Obama Administration had also encouraged it, and the Trump Administration has embraced an even more aggressive form of retrospective review in its “one-in, two-out” regulatory budgeting executive order. Despite bipartisan calls for more-rigorous retrospective review, we have little empirical insight into how agencies review regulations today. Enter a groundbreaking new study by Wendy Wagner, William West, Thomas McGarity, and Lisa Peters.1 In Dynamic Rulemaking, which was published in the NYU Law Review, the authors present the findings of their study of the rulemaking process with respect to four programs at three agencies: the Environmental Protection Agency (EPA), the Federal Communications Commission (FCC), and the Occupational Safety and Health Administration (OSHA). In total, they analyze 183 parent rules and all 462 revisions of those rules since the 1970s. This article is a must-read for those of us interested in agency rulemaking. 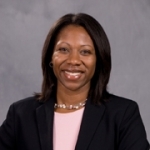 Continue reading "An Empirical Window into Retrospective Review"
Jamillah Bowman Williams, Breaking Down Bias: Legal Mandates vs. Corporate Interests, Wash. L. Rev. (forthcoming 2017), available on SSRN. Those working in antidiscrimination law are well-versed in the central role that the business case for diversity plays in shaping policy. Even as enthusiasm for legal interventions in business or education has waned, the business case for diversity has remained persuasive. Courts have even relied on it to find practices that disparately impact certain groups discriminatory, affirmative action plans legal, and accommodations required. In fact, I would submit that the business case for diversity has eclipsed arguments about justice, inequality, or morality as reasons to support such measures. That is why Jamillah Bowman Williams’ article, Breaking Down Bias: Legal Mandates vs. Corporate Interests, Wash. L. Rev. (forthcoming 2017), is so important. Williams asks the foundational question of whether the business case for diversity actually accomplishes the goal of antidiscrimination law – reducing bias and promoting racial inclusion – and reports on experimental research that tests the relative efficacy of the business case rationale versus a legal case for equity and inclusion. Williams finds not only that the legal case for diversity is more effective for reducing bias and promoting inclusion, but also that it exerts a stronger normative influence on actors than the business case. Continue reading "Limitations on the Business Case for Diversity"
Who Should Terminate or Modify Irrevocable Trusts? Bradley E.S. Fogel, Terminating or Modifying Irrevocable Trusts by Consent of the Beneficiaries—A Proposal to Respect the Primacy of the Settlor’s Intent, 50 Real Prop., Tr. & Est. L.J. 337 (2016). Professor Fogel first summarizes the common law of trust termination by consent of the beneficiaries. He notes that many early U.S. cases followed the English law that “a vested beneficiary could terminate a trust and receive the assets outright regardless of the settlor’s intent or the terms of the trust.” (P. 344.) Over time, courts rejected easy trust termination, and the case Claflin v. Claflin, 20 N.E. 454 (Mass. 1889), “evolved into the common law rule that a trust cannot be terminated by the consent of the beneficiaries if ‘continuance of the trust is necessary to carry out a material purpose of the trust.’” (P. 347.) The most common “material purposes” found for trusts were spendthrift provisions, discretionary distribution provisions, and provisions delaying a beneficiary’s enjoyment of the property (such as to a certain age). (Pp. 347-48.) Continue reading "Who Should Terminate or Modify Irrevocable Trusts?" Sarah B. Lawsky, Formalizing the Code, 70 Tax L. Rev. 377 (2017), available at SSRN. In Formalizing the Code, Professor Sarah Lawsky offers a glimpse of what might be gained if law were written in formal logic language. It might be written by machine-language specialists attached to Congressional tax-writing committees. It could reduce unintentional ambiguity and complexity. Computers could understand it. Lawsky takes as her focus a problem she calls definitional scope, defined as “when the Code uses a term but the structure of the Code leaves unclear to what a term refers.” (P. 378.) Definitional scope is about cross-references, and cross-references are one element of the formal structure of the Code. Continue reading "When the Life of the Law is Logic"